This Bailey Nurseries introduction is an improved selection of Pyrus ussuriensis with a more vigorous, upright growth habit. 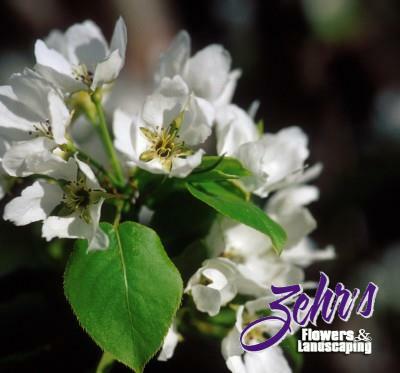 Attractive white flowers cover the tree in spring, backed by dark green, leathery foliage. Some 3/4" fruit is sparsely produced in late summer.